Such a custom as yours I can have every day ". Chorus: And it's no nay never, etc. And the words that you told me were only in jest (5)". 1. The wild rover: a famous traditional British folk song often sung in evening sing-songs at the pub. There are some famous singing pubs in Britain where young and old go to drink and sing together. 2. Nay: No (old use). 3. 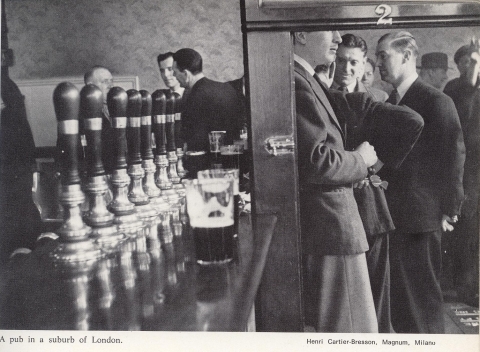 Ale-house: public house, in Britain familiarly called ' Pub ', where alcoholic drinks are sold. 4. Sovereigns: old British gold coins, face value £1. 5. In jest: as a joke, not seriously. 6. Oft-times: often (old use). London 11.00 a.m. - 3.00 p.m. Provinces 11.30 a.m. - 3.00 p. m.
5.30 p.m. – sometimes 10.30 pp.